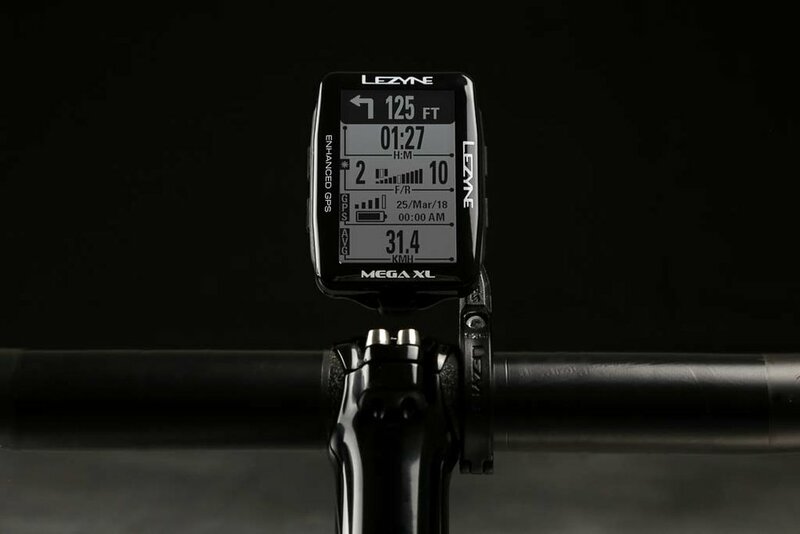 Lezyne launches Mega C and Mega XL computers - LA VELOCITA. Lezyne's new Mega C and Mega XL computers have ain impressive spec, so we wanted to take a closer look. Tour de France week traditionally sees a shotgun blast of releases, and this year has been particularly bananas. There's been more bikes and gear than you can shake a kammtail tube at. 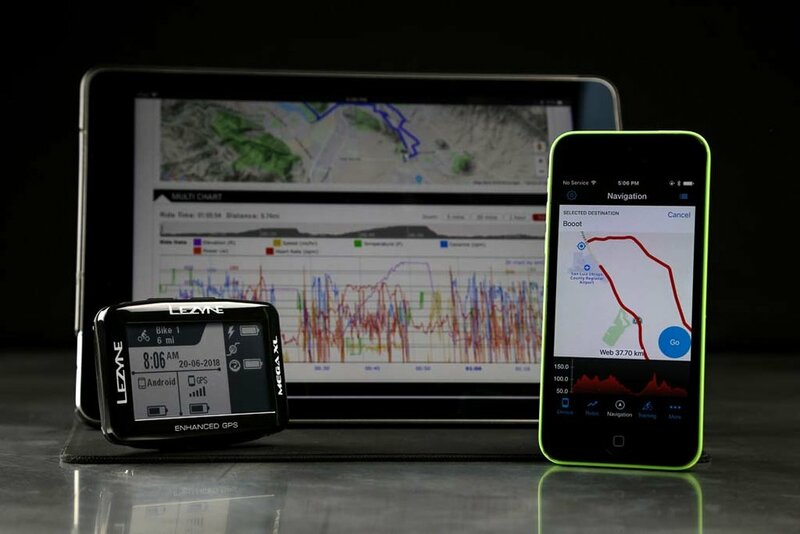 But quietly, in the dead of Australian night, Lezyne went and announced something unassuming; two new GPS computers. Not earth-shaking news generally, but these will be impressive units if they manage to deliver everything the marketing material promises. Let's begin with the units because there's two of them. They both have the same retail price of $199 USD and $299.99 AUD. 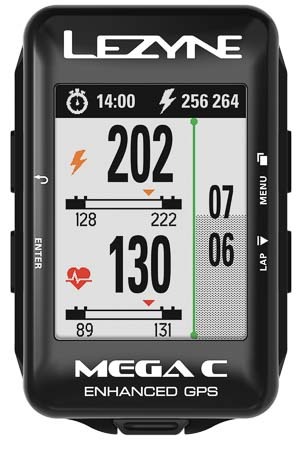 Brands hoping to take meaningful bites from Garmin's market share have to offer good quality navigation. It appears Lezyne have put in quite a lot of work in this area. 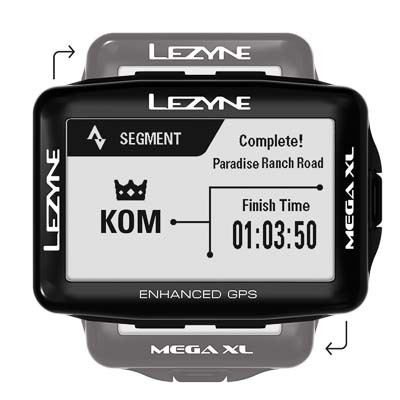 The Mega C and XL work with Lezyne's Ally smartphone app for navigation and turn-by-turn directions sent to the head unit. The Ally app can download maps to your phone for offline address searches and the ability to tap an address and navigate to it. There's a browser-based Lezyne platform called GPS Root that'll also create routes and navigation. Naturally the units can both take .gpx and .tcx files directly dropped into it. The biggest news here is pages and data fields can be set up through the Ally app. I used smart phone setup when I reviewed the Wahoo ELEMNT Bolt and it's brilliant. Everything is substantially easier and faster with your phone. The smaller Mega C will display 2-8 data fields on screen whereas the Mega XL can handle 2-10. Not only is it bigger, the Mega XL can be orientated in landscape mode for a different perspective on your fields. Each unit can hold profiles, and thus screen layouts for up to five different bikes. This one is a big deal for a lot of users who want to ride but need to be contactable at short notice. The Mega computers will allow phone, text, email, social media, and message app notifications to show up on your head unit. They'll pop-up over the top of whatever data you're showing on the screen. Yep, both computers will let you chase starred Strava segments in real time and give you real-time progress. It'll alert you when approaching a starred segment, and kick it off automatically when you roll through the start. It's a nice inclusion that other brands have adopted too. Training and workouts. You can create your own, or connect with TrainingPeaks and Today's Plan. There's training-specific data fields to play with too. Automatic syncing. Rides upload automatically through the Ally app and get shared across your connected paltforms: Lezyne GPS Route, Strava, TrainingPeaks, and Today's Plan. Live tracking. Use the Ally app to send a hyperlink to anyone who wants to see where you are or get real time metrics. If Lezyne delivers the goods with these units they could forge a big niche in the cycling computer market. I'm particularly excited about the immense battery and smartphone setup. Add that to navigation, and training capabilities and this unit could cover off on everything I want from a GPS computer for a damn good price. We've asked for a unit to review so hopefully we'll be able to test all of the claims from Lezyne. Stay tuned!